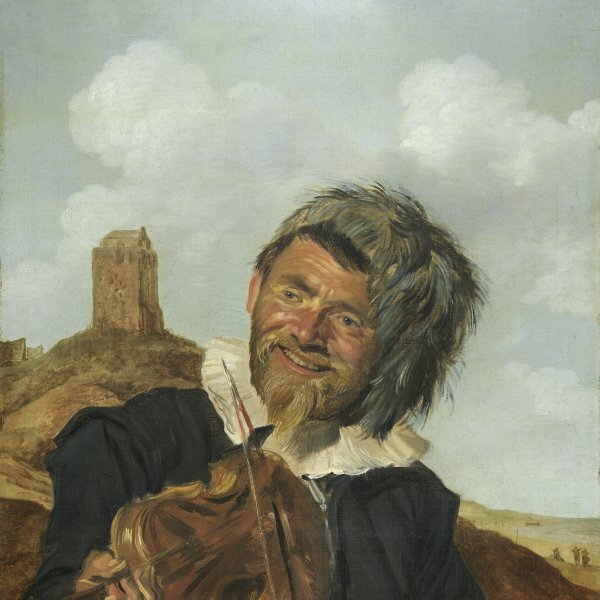 The life and artistic personality of this artist from Amersfoort were reconstructed in the 20th century on the basis of a series of documents and scholarly studies that were published at that time. Nonetheless, there are still many gaps in our knowledge of the career of Matthias Stom, who is documented in Rome in 1630. His earliest known works reveal the influence of Gerrit van Honthorst and it has consequently been suggested that he trained with that painter in Utrecht, but this is unlikely given the date of Honthorst’s return to that city from Italy. However, Stom could have known his works in the years following Honthorst’s return to Utrecht in 1620. The present canvas was dated by Nicolson to the artist’s time in Naples around 1633‒39. At this date his use of colour changed slightly with a new emphasis on earthier tones, which has been associated with the influence of Neapolitan artists such as Domenico Viola. 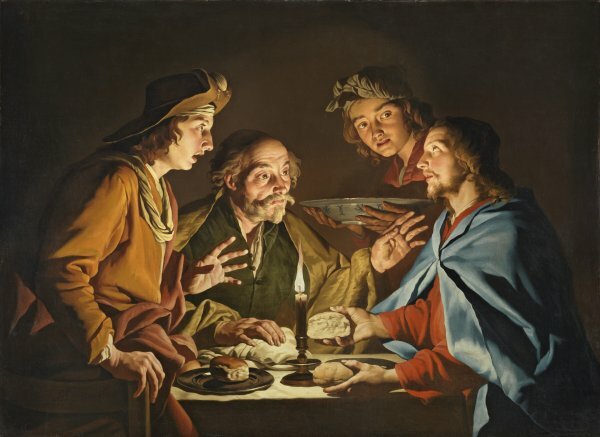 The Supper at Emmaus was acquired for the Thyssen-Bornemisza collection from the Franco Rapetti gallery in Rome in 1976. It was previously owned by a family of winegrowers in Bordeaux until it was sold by Christian Cruse, a family member, in 1975. According to a report owned by the Cruse family, the canvas was in a private Dutch collection in the West Indies until around 1850. The painting was published in the 1950s in an article by Pariset and was made known to the public when it was included in an exhibition at the Charpentier gallery in Paris in 1954. Following the biblical account, Stom locates the scene in an interior illuminated by the light of a candle in the centre. The two disciples are on the left with Christ on the right. The exact moment chosen by the artist shows the disciples recognising Christ, stretching out their hands to touch him. The witness to this miracle is the young serving girl behind Christ whose holds a bowl and looks on with great interest. Stomer uses a highly three-dimensional chiaroscuro that sculpts rather than draws the figures. He deploys a warm palette with a particular interest in the earth tones used for the still life on the table and the two disciples. Eight other versions of this subject by the artist are known.